We're very excited to announce another big update for Helio. We've spiffed up the test create flow to make your test creation experience even easier! Tighter styles. We've improved the typography, colors, and layouts for each of the create cards. Sturdier layouts. We've battle-tested through mobile and desktop layouts to make sure you can create a test on any device or screen size. Preview from a specific question. Now you can preview directly from any question, by just clicking on the eye icon. Clearer ordering. We've updated the order of the test sections so that the Introduction card is near the top. "End of test" section. It's super easy to redirect panelists once a test is complete. On top of all of these updates, we've also rolled out branching to beta testers! 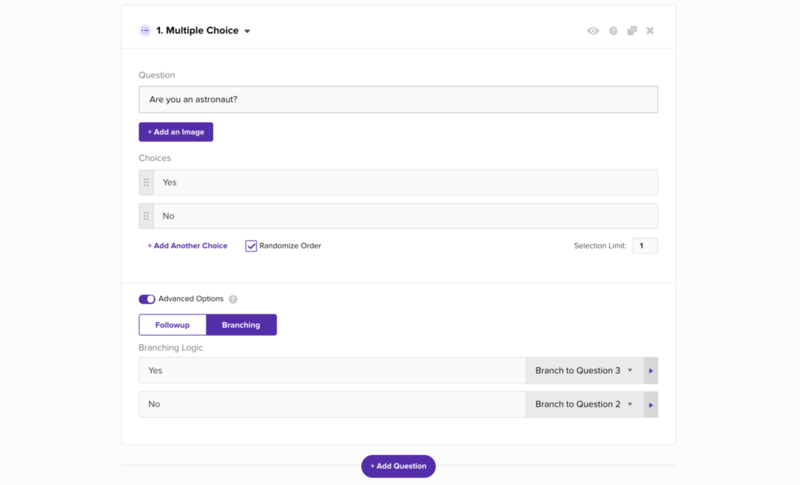 With branching you're now able to direct users to different questions based on how they answer. If you're interested in beta testing branching tests, drop us a line at [email protected].